The other day I forgot my smartphone at home. I had forgotten to charge it the night before so plugged it in while I showered. Alas, as I boarded the train I realised... no podcasts for me. But also, no texts, emails, Instagram, Twitter or Sudoku game. It was a very long day. 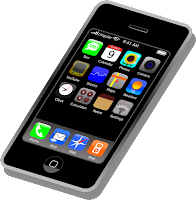 The smartphone was introduced to the world by Steve Jobs 10 years ago. Since then it has become part of our daily lives. According to a survey by ReportLinker, nearly half of American's check their smartphones as soon as they wake up... and just before they go to sleep. 1 in 10 even wake up and check it during the night. We have become so dependent on our phones, that we can even suffer from separation anxiety. Nomophobia is the fear of being without your mobile device and as we grow more reliant on our smartphones, this anxiety could become a big issue in the future. Auckland is a beautiful city. The thing about Auckland though is that it rains. A lot. So what is there to do on a rainy day? Last weekend we went to The Classic Mocktober Labour Weekend New Pro Showcase. The Classic comedy club is celebrating it's 20th birthday and has events throughout 'MOCKtober'. The club is located on upper Queen Street in central Auckland and is laid out in an intimate cabaret style of stand up comedy clubs in the US. The New Pro Showcase featured ten comedians who have recently graduated from amateur to pro and over a two hour slot we were treated to a diverse and hilarious show. Hosted by the Fan Brigade who took the traditional Kiwi RSA club and turned it into the funniest song ever, the line-up included Ruby Esther, the winner of the 2017 Raw Comedy Quest in May 2017 among many talented others. So the next time it rains, cheer yourselves up by going down to The Classic. We recently spent 5 glorious days in Rarotonga, it was truly paradise. On arrival at the airport we received beautiful eis of fragrant magnolias. Here are my top 3 island musts. We went to the show at the Crown Beach Hotel in Arorangi which featured the Akirata Dance Troupe. Cook Islanders are known for their singing and dancing and the hour long show does not disappoint. There are several ways to explore the island. Cars and scooters are reasonable to hire, and there is also a bus service which runs either clockwise or anti-clockwise around the island. But this tour was the best! Hop into a buggy for an experience like no other! Avarua is the main township in Rarotonga, Cook Islands. Here are the best 3 cafes to get a coffee or iced drink. Located in the Courtyard of the lovely Beachcomber Pearl Market. Only You by the Platters was playing on the gramophone and we basked in the sun while sipping our tea. This little cafe is actually in Matavera, the district east of Avarua but definitely worth a visit. Everything is made out of 'love' and the iced drinks are delicious! The New Place Sometimes when you're away on holiday all you want is something familiar. The New Place serves delicious bagels and salads with great service. In a previous blog post I mentioned Stephen R. Covey's second habit in his book, 'The 7 Habits of Highly Effective People'. Last week I was reminded of his third habit Put First Things First. First things are those which you personally find of most worth, and by putting them first you are organising and managing your time according to your own priorities. In my case I should have put myself first. But it was a busy week at work and I had a long to do list before going off on holiday. I hadn't been feeling well and had been to the doctor. But 5 days later, I knew something still wasn't quite right but just didn't make the time to go back to the doctor. By the time I did, I ended up in hospital overnight. Luckily I was still able to go on holiday, even if I couldn't swim or be physically active. But this has been a wake up call for me - I need to take better care of myself. Tuesday October 10th is World Mental Health Day. Mental health stigmas are still rife in the world. High profile personalities are starting to speak out about it, and encouraging sufferers to seek help. Stephen Fry is an English comedian, presenter and writer. I first came across his work on the BBC series Stephen Fry in America where he drove around the States in a black London cab. He has experienced mental health problems throughout his life but was only diagnosed with bipolar disorder at 37. He decided to speak out and raise public awareness after researching for his documentary The Secret Life of the Manic Depressive. He says "I want to speak out, to fight the public stigma and to give a clearer picture of mental illness that most people know little about." The theme of World Mental Health Day 2017, which is observed annually on 10th October, is Mental health in the workplace. In New Zealand, the week of 9-15 October is Mental Health Awareness Week (#MHAWNZ) and this year's theme is Nature is Key. Employers across New Zealand are encouraged to lock their staff out of the office for an hour from 12-1 so that they can head outside and connect with nature around their workplace. There are also many activities planned throughout the week. The Mental Health Foundation of New Zealand supports the Five Natural Ways to Wellbeing. By introducing these actions into our lives we'll feel multiple benefits. What will you do this week to boost your mental wellbeing? Podcasts to inspire your decluttering! Earlier this week I posted about my efforts at decluttering using the KonMari Method. Here are some great podcasts which explore this philosophy of tidying up. Hosted by comedian Jolenta Greenberg and her friend Kristen Meinzer. The pair try to live by the chosen self-help book. In this episode they take on Marie Kondo's The Life-Changing Magic of Tidying Up. Marie Kondo visits the Dublin home of Roisin Ingle in Episode 30. The hosts compare two books in this episode on Minimalist Living - The Life-Changing Magic of Tidying Up by Marie Kondo and L'Art de la Simplicité: How to Live More With Less by Dominique Loreau. I think it's safe to say that everyone who works a 5 day week loves Fridays! TGIF or Thank Goodness is Friday was a happy phrase I used to hear on the radio while getting ready for school. Most organisations have 'Dress down Fridays' which also helps to ease us into the weekend. But for me, the thing I look forward to most is a Friday treat. I love chai lattes. I know these are not as authentic as the original masala chai tea which is a black tea with a mixture of spices like ginger, cardamom, cinnamon and cloves. Chai tea even has anti-inflammatory and anti-nausea benefits and is high in anti-oxidants. No, the chai lattes I love are of the evil sugar-ridden variety. According to an article in the Guardian, a chai latte can contain up to 20 teaspoons of sugar. Yikes. So that's why I only have them on Fridays! Happy Chai Friday everyone! a grocery shopping list. a wonderful Zimpad notebook listing the things I need to do around the house and garden. a reminder list on my phone for those little tasks which need to be done out and about. a work notebook with my 'to do' and project lists. And so it was a revelation for me when I listened to Happier in Hollywood podcast where the hosts, Sarah Fain and Liz Craft debated the merits of bullet journals. Sarah Instagrammed a photo of her bullet journal and on searching through Instagram, Youtube and Pinterest I found hundreds of examples. What is a bullet journal? It's essentially a notebook, used to dump thoughts and organise yourself, in the creative format of your choice. So I tried to blend my lists together into one notebook but found it really difficult to do. Also, my creativity extended to little check boxes, and looked nothing like the examples I'd pinned in my Pinterest. As the weather starts to warm up, it is a great time to pack away the winter clothes and prepare for the summer. I recently read Spark Joy by Marie Kondo. The book is an illustrated masterclass on tidying up. Marie became interested in organizing at a young age and had started her consultant business by 19. Her KonMari Method is an internationally renowned system and philosophy for tidying homes. Earlier this year I stumbled across a documentary on Netflix called Minimalism: A Documentary About The Important Things. I'd always thought myself to be relatively minimalistic, we migrated across the world with very few boxes and a friend once refused my help when she was moving house exclaiming that I was too extreme when it came to throwing things away! After watching the show though it became clear that compared to Joshua Fields Millburn and Ryan Nicodemus, I had a lot to learn! So this weekend I threw myself into the advice in Spark Joy and started with clothes as Kondo advises.